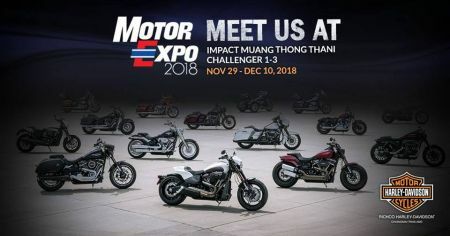 Motor Expo 2018 at IMPACT Muang Thong Thani Challenger 1-3 on November 29 - December 10, 2018! Meet us at Motor Expo 2018! See you at IMPACT Muang Thong Thani Challenger 1-3 on November 29 - December 10, 2018!